10 new additions take their place in the lineup of the XXVII Viljandi Folk Music Festival alongside previously announced Curly Strings and April Verch Band. This year’s festival focuses on fascinating and significant musical stories and great storytellers from all over the world will come together in Viljandi to share their stories, be they dance tunes or fairy tales. The programme manager Tarmo Noormaa says, that a musical story comes alive only with the help of a performer. “Some of us are especially gifted storytellers. Simple and well-known tunes can miraculously become utterly captivating in the hands of some musicians. We want to find out, what’s the magic behind that, and explore the personal links between musicians, their tunes and cultures, “ he explains. 10 performers announced today are all living proof of the programme manager’s words - they represent various musical traditions and different roles of music and musicians in the society. King Ayisoba is coming to Viljandi from sunny Ghana. “King” is no exaggerated title in the name of this remarkable Ghanaian artist. 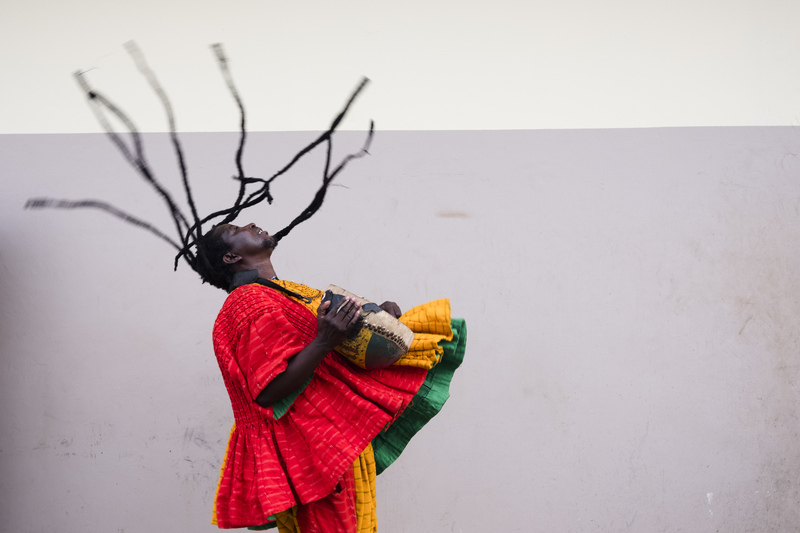 King Ayisoba is a real superstar in his home country and known all over the world as the King of kologo. King Ayisoba has been called “a musical preacher” because in his tunes he often gives advice and talks about good and bad. He himself has said, that his music is the medium to talk to his people, to advise and encourage them with the ancestors’ wisdom that never grows old. Trio Durand Millet Raillard comes from a mountainous region of Morvan in Burgundy. The members of the trio have been surrounded by traditional music of the region from early childhood. Today they are one of the best ambassadors of the traditional music of Morvan region and they are doing a wonderful job at keeping the purest and the oldest function of folk music alive - they play for dancing and for the delight of the community. From Finland, we welcome Orivesi All Stars. It is the biggest folk music collective of our northern neighbours, with almost 100 members whose age varies from 8 to 85 years. They’ve come together to promote the discovery, experience and sharing of musical joy. This lovely group does not distinguish between amateurs and professionals and the only goal is to produce nice and meaningful music together in a good spirit. In addition to the above mentioned artists, new names in the lineup include Tautumeitas from Latvia, Lena Jonsson Trio from Sweden and Riffarrica, Nagy Bögö, Tintura & Arno Tamm, MandoTrio & friends and Rüüt from Estonia. XXVII Viljandi Folk Music Festival takes place on 25–28th of July 2019 in castle hills and town centre of Viljandi. The theme of this year’s festival is “Sounds good!”. The 4-day folk music party hosts more than 25 000 festival goers every year.